Actor Jan Michael Vincent poses during an interview in Hollywood, Calif., on June 6, 1984. Actor Jan Michael Vincent was among the highest-paid actors on TV in the 1980s. 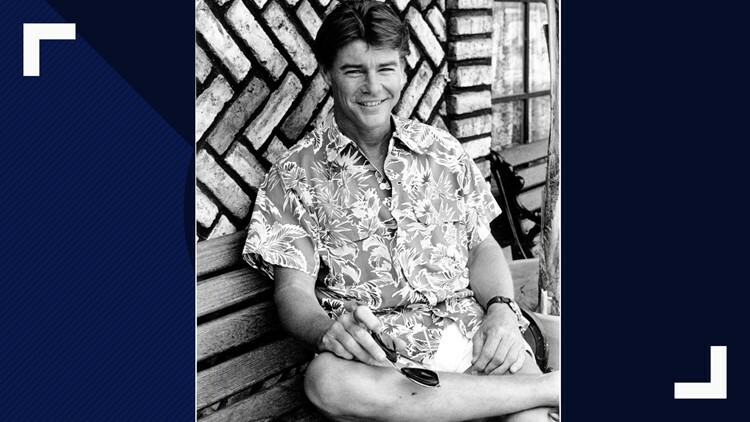 ASHEVILLE, N.C. — Actor Jan-Michael Vincent, the "Airwolf" television star whose sleek good looks belied a troubled personal life, has died. He was 73. It wasn't clear why it took several weeks for news of the death to surface before it was first reported Friday by TMZ. Messages left at phone listings for Vincent and his wife weren't immediately returned Friday. Born in 1945 in Denver, Colorado, Vincent starred in such films as 1972's "The Mechanic" and 1978's "Hooper," in which he played a stuntman opposite Burt Reynolds. Off-screen, his handsomeness earned him a spot on a cosmetic surgeon's "Ten Best Noses" list in the late 1970s. "I was a traveling surfer for years. ... I've been all over the world surfing," he said. "I'll be 40 in July and I still like to surf." Perhaps his best-known role was in the television action-adventure series "Airwolf," which lasted for several seasons after launching in 1984. Vincent played pilot Stringfellow Hawke, a rugged pilot who could pull off aerobatic crime-fighting maneuvers in an advanced helicopter — but also play the cello. "The character is stiff," he says, "but as we've gone along we've been able to loosen him some. Now you'll sometimes see him crack a smile and say something funny. Even Clint Eastwood is mellowing, although I'll never be Burt Reynolds."